I've been living as an expat for nearly 15 years so almost every present I buy for my family back home in Australia is ordered online or I beg my mum to go shopping for me. It's a bit uninspired! Australia doesn't yet have Amazon so I usually send my sister flowers, gift vouchers or perfume from department store websites. For her birthday this year I was determined to be more original. I cleared an entire evening and decided to do some serious Googling. And to my absolute delight, I stumbled upon the loveliest website called Little Box of Happiness. If you have friends or relatives in Australia you really should check it out. Little Box of Happiness is the idea of two British girls, Amy and Liza, who now live in Perth. 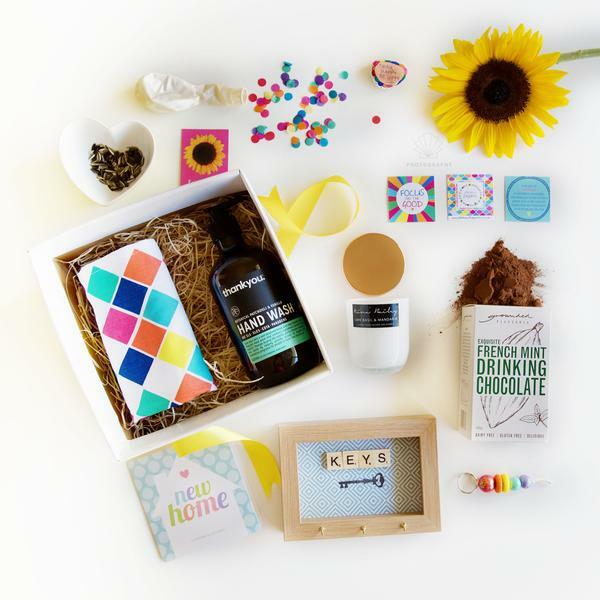 They put together these pretty and colourful gift boxes which are bursting with little unique things to brighten someone's day. It's almost as if these ladies read my mind when they came up with this concept! Inside are exactly the kind of little treats I would buy my sister or best friend. The boxes are pre-selected and seasonal so you don't get to choose the individual contents but for me that's absolutely fine! While I wanted to put love and thought into my sister's gift, I knew it would all go horribly wrong if I had to make too many choices!! Each box comes with a 'happiness planner' for ideas on how to use all of the goodies. Mini Box of Happiness [below] for $35 (£20 approx.) I think this one is great value. She was very happy when it arrived. She said the nicest part was opening the box to be greeted by a lovely sign saying, "Hello Sunshine". Isn't that cute? She said the packaging was great and she loved exploring all of the little contents isnside. Hand painted Print by Ink & Ivy. Basil Seeds to grow by Herban. Recipe card from Ashley McDiarmid Health Coach. Happy Affirmation Cards by Little Box of Happiness. Gorgeous Handmade Keyring by Beady Belles. Happy Word Rock by Little Box of Happiness. Luxury Bath Bomb by Soap by Elena. 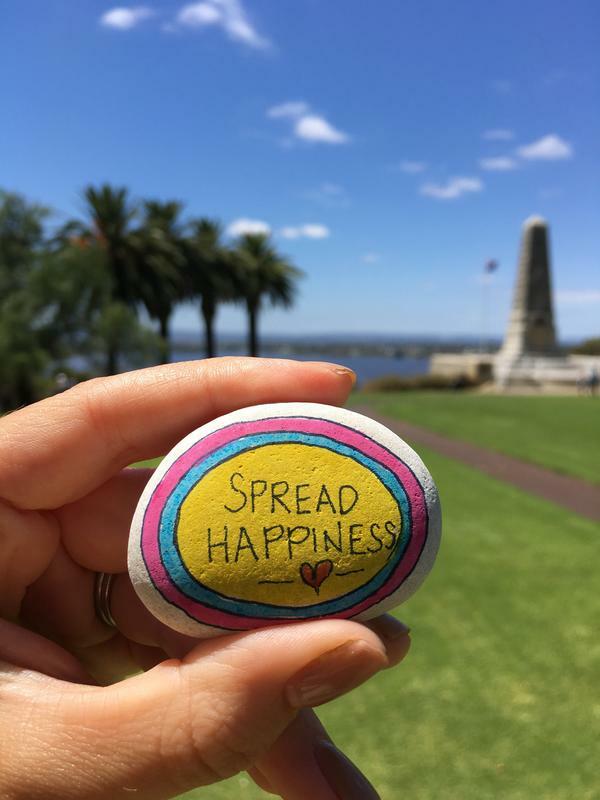 Little Box of Happiness posts all over Australia. All of the products are made by them or other local small businesses. They definelty deserve our Five Little Stars! *I received this product in exchange for an honest review. As always, all opinions are my own and we only write about products we genuinely like.